Emergencies never ask if this is the best time for them to happen. Instead, they just come when you’re least expecting them to. 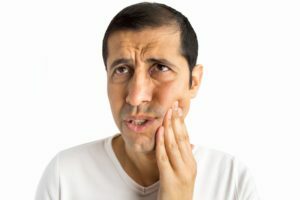 So, rather than just hope that they won’t occur, your dentist in Danville wants you to be prepared by understanding what a dental emergency is and what to do when it happens. A dental emergency is any situation that causes a sudden traumatic change to the condition of your mouth, teeth and/or gums. This can involve some form of oral trauma that requires immediate attention. What are Some Types of Dental Emergencies? Cracked or Broken Teeth – This can occur from blunt trauma or from eating something that is too hard. A common example is ice. It contains hard crystals just as your teeth, so when you bite down into a piece, either your tooth or the ice is going to crack. It’s not worth taking the gamble on which one it will be. Knocked Out Teeth – More common in sports injuries, this can occur from direct force to the mouth or jaw, resulting in tooth loss. If the tooth is knocked out, clean it thoroughly and try to place it back into its place until you can be seen by your dentist. Severe Tooth Pain – Severe tooth pain can be a sign of decay or an abscess (infection of the tooth). Until you can be seen by your dentist, you can rinse your mouth with a salt water solution. If there is swelling, you can apply a cold compress to your jaw around the area of the affected tooth. An Object Lodged in Your Tooth – An object in your teeth or gums can cause severe pain and infection. If you can, remove the object and rinse your mouth with a salt water solution. Excessive Bleeding – Excessive bleeding may occur as result of a tooth extraction or a severe case of gum disease. Contact your dentist immediately if this happens. The most important thing to remember in a dental emergency is to not panic. First, if possible, stabilize the problem, and then reach out to your dentist to schedule a visit to prevent any further damage. Your dental emergency does not have to become a nightmare. By knowing how to recognize one and contacting your dentist immediately, you can limit your time of discomfort and restore your dental function to normal. A native of Danville, VA, Dr. Thomas White received his Bachelor of Science degree in Biology from Virginia Commonwealth University (VCU). He then went to VCU’s School of Dentistry to earn his Doctor of Dental Surgery degree. He practices at Danville Dental Associates and can be reached for more information through his website.